Haiti has long been the poorest country in the western hemisphere. In a country with few building inspectors and poor construction techniques, it was only a matter of time before tragedy struck. When that tragedy appeared in the form of the January 2010 earthquake, the results were devastating. Thousands of buildings collapsed, killing 200,000 people and leaving well over a million people living in tent camps. Today, relief efforts are behind them and long-term development is sorely needed, with permanent housing as one of the country’s greatest needs and, perhaps, opportunities. After completing over 150 permanent homes for Haitian families after the earthquake, we are now working in northern Haiti in the town of Pignon. We are building homes that families pay forward on terms that they can afford — a no-profit and no-interest loan. 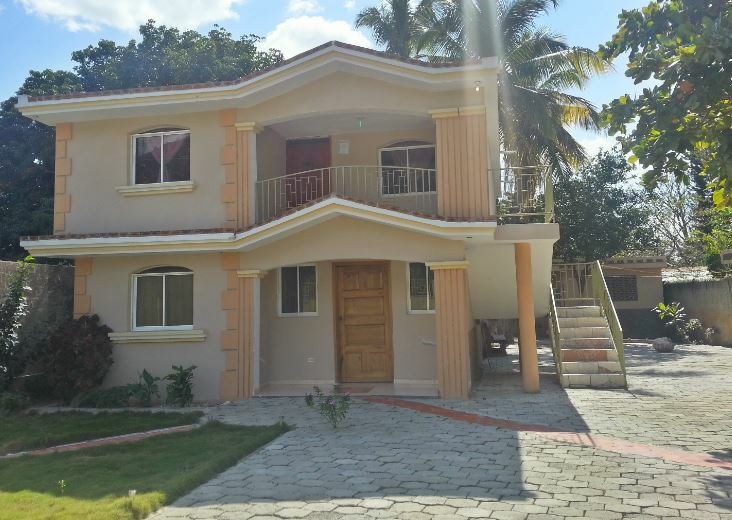 We have built with over 40 families in Pignon. Pignon is a community of about 30,000 located in the Central Plateau of Haiti. Renowned for the beauty of its hillsides, it is yet in one of the poorest regions of Haiti. Families traditionally survive and earn income by traveling to their nearby fields, where they grow their own food as well as sugar cane for selling. We also build for families with underpaid professionals like teachers and nurses. Many of these families own their own land and begin purchasing materials like concrete blocks in order to build their home over time, but need a helping hand and opportunity to expedite the process for them and their kids. 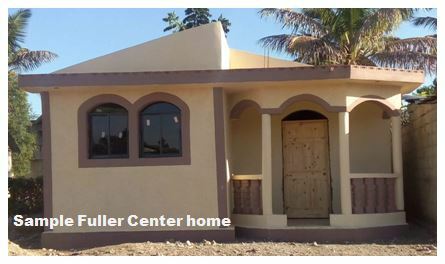 The Fuller Center helps by constructing simple, decent affordable homes with families based on their needs and income, repaid on a no-profit, no-interest basis. The repayments are used to help more families in the community. Families are also taught construction as the homes are built, and basic financial management skills by a partner called Top+. In addition, we have opened a local materials supply store to make improving one’s home more accessible for everyone in town. Be ready to be flexible! Schedules can change quickly in Haiti. Rain storms, communication, material supplies and more are unpredictable. We work hard to consider all the possibilities in order to plan for an enjoyable and productive work week. All trips will last one week, typically Saturday to Saturday or Sunday to Sunday. Sunday offers a chance for attending a Haitian worship service. Saturday or Sunday afternoons there will be opportunity for some of the limited R&R available in Haiti, which must be coordinated in advance. Come ready for anything. Work could include laying block, clearing rubble, applying stucco, cutting rebar, mixing concrete, or other tasks. Every job is important. Expect it to be sunny and HOT. Shade is limited. Heavy water consumption is a must all day long. You may want to bring electrolyte replacement powders. Our teams spend the week at the guest house, pictures to the right. No outside groups or volunteers use the facility while we are there, so we have the place to ourselves. Food and water must be handled carefully in Haiti, so we work hard to ensure that groups will have safe and nutritious, albeit fairly simple, meals. We provide three meals per day – typically breakfast and dinner where you are staying and lunch on the work-site. Purified water is also always available and provided, usually in five-gallon containers, so you will want to bring your own reusable bottle. We rent transportation to get the groups to and from the airport. During the work week a vehicle is generally not needed as the work-site is within walking distance of the Guesthouse. Pignon is 3 1/2 hours from the airport so it is important that flights are coordinated with the team leader to ensure that they all arrive together or at least within 90 minutes of each other. All participants should arrive before 1:00pm to avoid being on the road at night in Haiti. Sunday is a non-working day. If coordinated in advance, a group may want to set aside one day for R&R. If desired, we can help arrange for the group to attend Haitian church services. R&R opportunities are limited in Haiti, but there are a couple of options. Groups can visit Bassin Zim, which contains waterfalls, coves, and caves. Groups can also visit the local school to spend time with the children and play a game of soccer or basketball. Groups could also choose to fly out of Cap Haitian when it is not rainy season. This would give groups the option to visit the beautiful Sans-Souci Palace and Citadelle Laferriere. The costs for our trips to Haiti will be about $1,020 – $1,250, which include lodging, local transportation including airport pick-up, three meals per day, bottled water, security guards, travel health insurance, and a contribution toward building materials. Since factors like group size help determine the cost, we will work out a more accurate price after you submit your trip proposal. We completed over 150 permanent homes as a response to the 2010 earthquake, including building the homes for a sustainable community concept in Gressier. We trust these homes will be a blessing to the families for the years to come. Lambi – We helped to complete 58 homes in the form of 29 duplexes on a site called Lambi in Gressier, which was very near the epicenter of the 2010 earthquake. We partnered with Lott Carey and the African American Baptist Mission Collaboration to make it possible, as well as Grace International who is responsible for helping the community reach full sustainability. 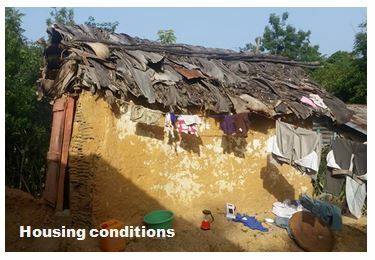 The families moved out of hot, decrepit tents and into healthy, permanent homes. The community included improved water, sanitation, job opportunities and civic space. 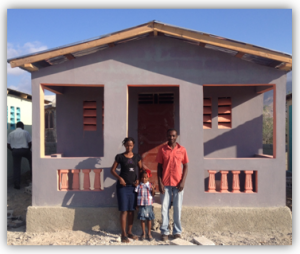 Croix-des-Bouquets – In this community just east of Port-au-Prince, we built small, economical homes that were typically 16×16 feet, depending upon the sizes of the lots. The homes were built on families’ own land. The project was undertaken in partnership with Homes from the Heart.